If you are a writer or a blogger who's trying to keep up with the plethora of rules for getting your articles the attention they deserve, you may have been disappointed to learn that some of the old methods for pumping up your PageRank (and ultimately your page's popularity within search engines) have changed; but for writers of quality content, it's all good. In case you don't know, every well-established webpage has a PageRank. The higher your PageRank, the more likely you are to make it to the top of Google’s search engine. PageRank is configured mathematically by a complicated algorithm that is updated by Google as the internet grows and evolves. PageRank represents the quality of a particular page within a website, but oddly enough, the “Page” in PageRank also refers to it's inventor, Google co-founder, Larry Page. Since April of 2012, SEO managers have gotten their knickers in a twist because Google's new algorithm, Penguin, looks assiduously at the quality and content of webpage hyperlinks. Hyperlinks can be outgoing links originating from your post, or backlinks that originate on other posts and link back to your post. There are even some new rules concerning “anchors”, the text words that are clickable when viewed within posts. It appears that web experts are not the only ones scrambling to figure it all out; bloggers and creative writers are in a bit of a panic as well, wading through scores of complicated, often outdated posts in an attempt to make sense of it all. There's a plethora of articles out there on everything from improving your precious PageRank to plugging up holes in your website plumbing so you don't leak too much “link juice”. (More on that later). Savvyexaminer has taken a hard look at some of those offerings, including some enlightening articles on Google's own help page. We've come up with our Summer 2012 guide for writers who want to contribute creative quality content to the world without reinventing their blog or website – A practical guide to linking, backlinking and making your webpages conform to a more modern, potentially successful representation of your website content. Penguin represents Google's forward-thinking policy of policing webpages so that quality information gets rewarded and promoted; while spammy, self-serving and lesser quality webpages earn a lower rank. It’s not a bad thing considering the internet is the new world library being used by real people. Penguin, is aimed at recognizing those reputable sources while carefully targeting spammers who use robot programs to place self-serving backlinks to their websites. You may have heard the term “link juice” when people talk about PageRank, backlinks and linking. So what is link juice anyway? When you first start out, your website or blog is given a PageRank of zero. Once you start writing quality articles on a regular basis and people start linking back to your articles, your PageRank improves. The number associated with your PageRank is more than just a grade. It represents the flow of traffic as represented by the liquid commodity, “link juice”. You can think of link juice, as liquid dollars that say your page is rich with quality content. The more link juice you earn, the higher your PageRank. Contrary to what you may have learned from outdated articles, you don't really “spend” those liquid dollars by linking to other websites. Nor can you transfer link juice (and consequently PageRank) by linking to other pages from within your website. It's only when you place too many off-topic, or spammy links from within your articles that Penguin takes back some of that precious link juice. Some outgoing links are more valuable than others. For example, a link to a low ranking webpage or website such as an affiliate marketing page, or your best friend's new blog which has no PageRank, won't earn you any link juice dollars. But a link or two to Wikipedia will. Why? Google looks lovingly upon links to your sources or other pages that support your articles. It demonstrates that you've done your research. Backlinks are created when another webpage places a hyperlink back to your page. Google likes backlinks that come from web authors and readers who find your site worthy. 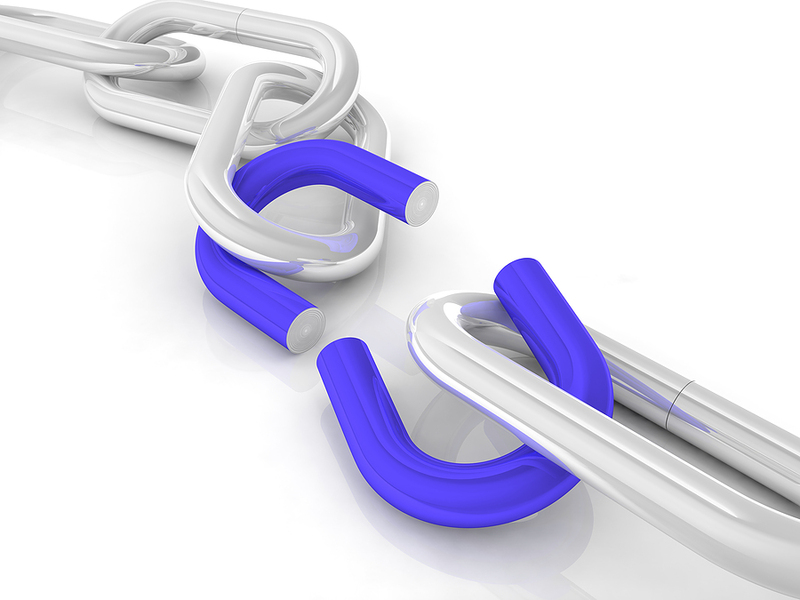 If backlinks come from pages that would naturally link to yours, Google likes them even more. So if your article about hyperlinks gets a backlink from a popular article about writing blogs, it can earn link juice. Other backlinks that search engines such as Google approve of, are those you create yourself when you hyperlink useful information between your own related articles. There was a time when you were able to earn link juice every time someone linked to your site, but with the Penguin police now monitoring the neighborhood, some unsavory backlinks can reduce your link juice. What Back Links Are Unsavory? Penguin smells spammy backlinks to your site the way airport dogs smell drugs in your suitcase. Spammy backlinks can be backlinks that you have paid for, or they can be links back to your website that you have placed within fake or unrelated comments you leave on other blogs. On the other hand, if you get loads of backlinks from websites that have a high PageRank, you’ll earn quality link juice. The more tasty link juice you get, the higher your PageRank. You can check your page's backlinks in Google's search engine quickly by typing pasting the url to the page you'd like to check and adding the word link: in front. For example, link:yourwebsite.com will show a list of sites that link to your website's homepage. Even if you are linking to your own blogs and articles across the web, remember to always link to relevant articles that your readers will find helpful. Revisit your older, higher ranking articles and add links to your newer articles. Although you many not be passing along link juice, you'll improve traffic to your website. Google also rewards article updates. Vary your outbound links as much as possible. If you are consistently linking to one source, you are building an unnatural link pattern that may trigger the Penguin police to reduce your PageRank. Cultivate backlinks from pages within your own industry. Search engines give them greater importance than those from unrelated industries. The best way to get backlinks that matter is to continually put out quality content, but there are other ways to increase traffic to your webpages. You can guest-post on reputable web sites and blogs, but be aware that comment posts hardly ever gain any link juice. That's because those links usually have the “nofollow” attribute, meaning the search bots do not index the link. Still, it's a great way to build your own sites' credibility and readers can learn more about you by clicking on your name. Use the Share This button. StumbleUpon, Facebook, Linkedin and Twitter are the best places to share your latest article. Send out your Tweets several times a day so more people will spot it. Although, Facebook, Twitter and StumbleUpon are “nofollow” networks, your backlinks from those sites still give you great exposure. Generating traffic is always the best way to improve PageRank and search engine optimization. When placing links to your internal pages (within your site) make sure your anchor words are good keywords. Never use “click here” as an anchor. It won’t do a thing for your PageRank. The bottom line is to write quality content to attract quality backlinks; leave helpful comments on related articles and keep those outgoing links relevant to your reader's interests. Hi Fay – Thanks for being the first to comment and I’m glad this all made good sense to you! These are great tips! I had no idea how any of this worked, now I feel just a little bit smarter and will put this new-found knowledge to work. I need all the help I can get. 🙂 Thanks!